The Zohar, our primary mystical text, says that this blessing is what has sustained the People of Israel throughout the millennia. If so, why was Yitzchak the one who gave the blessing and not Avraham or Yaakov? 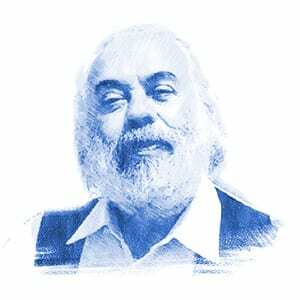 Rabbi Shlomo Carlebach, the influential Hebrew songwriter of the 20th century, explained that both Avraham and Yaakov spent part of their lives outside Israel. Therefore it was only Yitzchak, who never once left the Holy Land, who was worthy of bestowing this powerful blessing. I agree that it was Isaac who was worthy of bestowing this blessing for he never at any one time left the Land of Israel. However, it doesn't in anyway lessen the connection of the other two patriarchs to the land. Your words ring true Kara – he was the Covenant Son! God had given a blessing to Abraham already which was also passed to Isaac. He was the seed through which the nations would be blessed. Jacob was one of two brothers who would become fathers of two nations. So Jacob needed a special blessing to distinguish him as the inheritor of the birthright of his father. He was the covenant son.